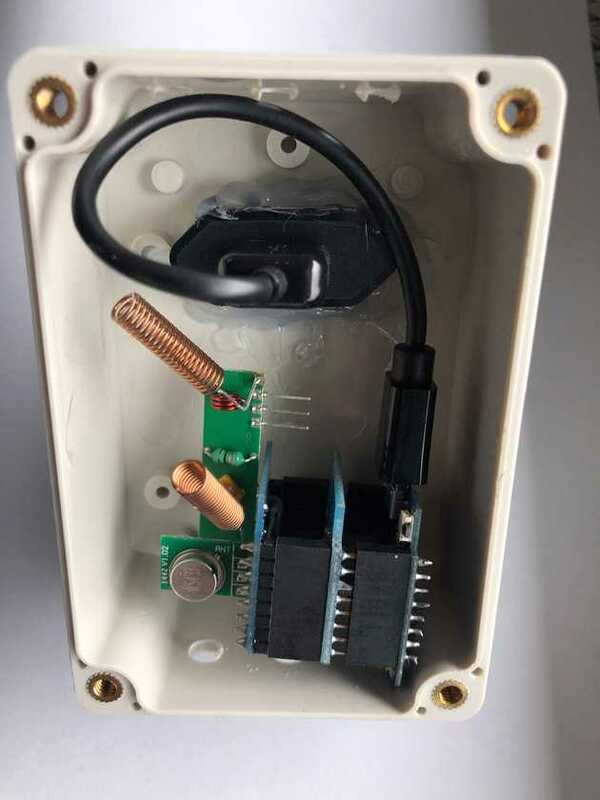 The MQTT-433mhz-gateway-homie project is a simple bidirectional gateway to transmit and receive 433Mhz RF signals connected to MQTT. 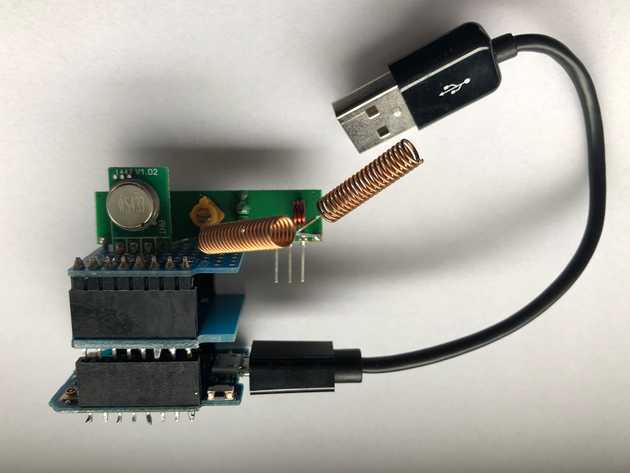 The gateway is built with a cost-effective ESP8266 WiFi chip (I used a Wemos D1 mini, NodeMCU will do as well), simple 433Mhz RF modules and an additional BMP085 sensor. The software is based on Homie to enable easy integration with home automation systems like OpenHab. I got the RF modules from https://www.sparkfun.com, others will do as well. Additional I got some Wemos Protoboards, a USB power supply with a very short cable and an enclosure to keep all together. The wireing of the gateway project is very easy. 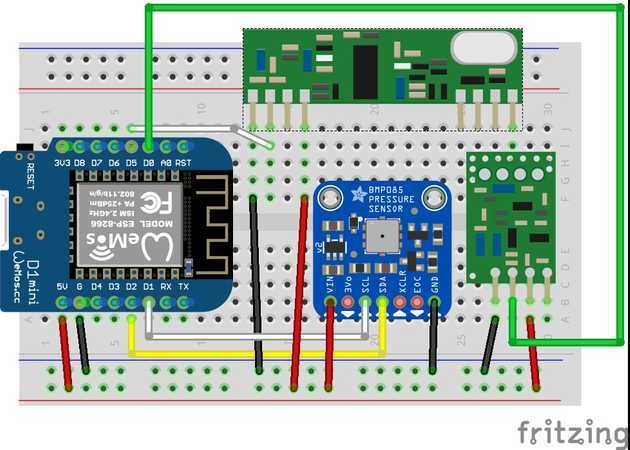 The sensor, the transmitter and the receiver must be connected to VIN & GND and the GPIO pins of the ESP8266 board as shown in the table below. The following software libraries are used. When using PlatformIO all dependencies are resolved automatically. For detailed documentation of the MQTT topics and commands used see Homie documentation. Temperature value send from device. First line: MQTT command send from MQTT client or smart home solution. Translates into the code send by the RF transmitter. Second line: Response from a device after the RF signal was transmitted. All configs can be set during the init procedure of the module or via MQTT messages (see Homie specification). Want to have a chat? Send me a message. You can find me on the following social channels.